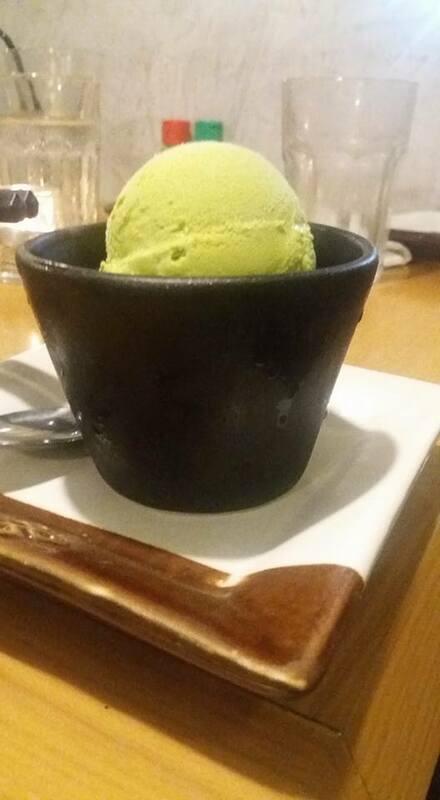 Nanbantei refers to a place where guests can unwind and have something to eat or drink after a long day of work. 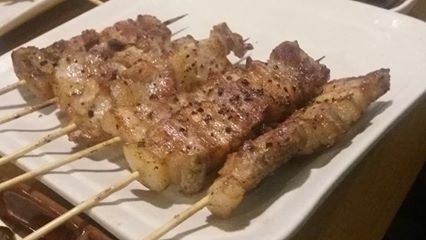 “Yakitori” means grilled chicken in Japan. As the name implies, it is a go-to place for skewers. Nanbantei-Yakitori is an international chain of yakitori restaurants, with its flagship restaurant in Roponggi. 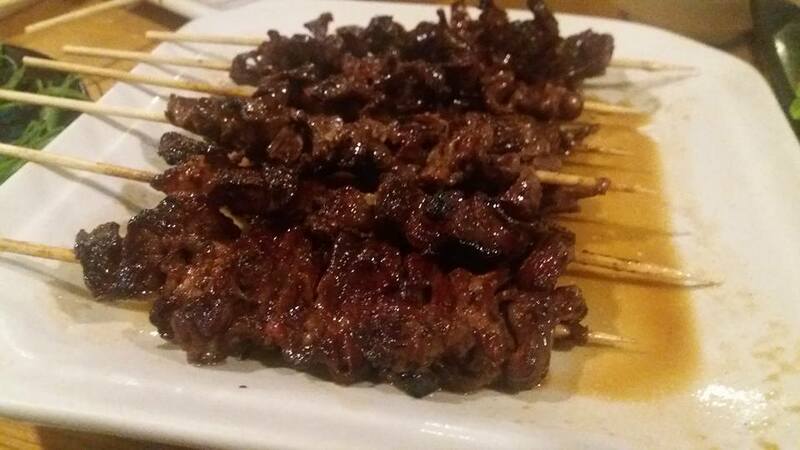 Aside from chicken, it offers an extensive array of grilled beef, pork, seafood and vegetables as well. Nanbantei uses Binchō-tan or white traditional charcoal. While this charcoal type does not produce any flames nor smoke, the slow-burning binchotan generates high heat and glows like an infared laser. This is the best grilling spot for me ever! I love to eat skewers but I hate smoke from the grills sticking on my shirt. Their appetizers prepared us for their grilled masterpieces. 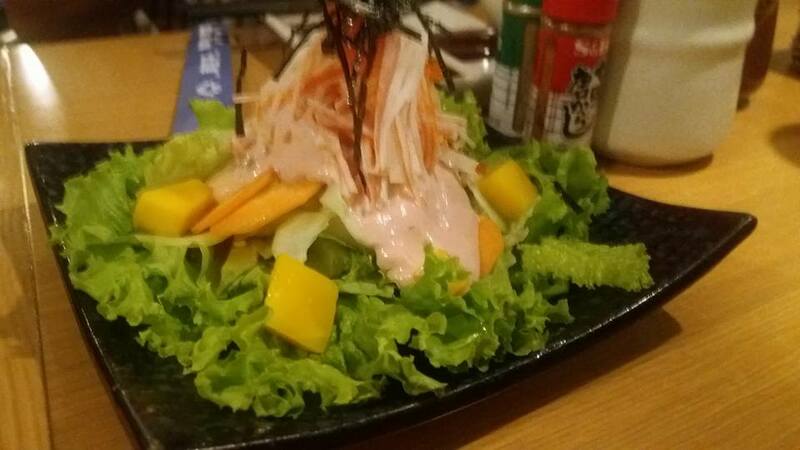 The Japanese Crab Salad (Kani Salad) has cucumber and carrots that were cut into matchstick pieces, while the.lettuce were shredded into bite sized pieces. These were tossed cucumber, carrots, and lettuce in a bowl and drizzled with mayonnaise and layered with kani sticks on top. 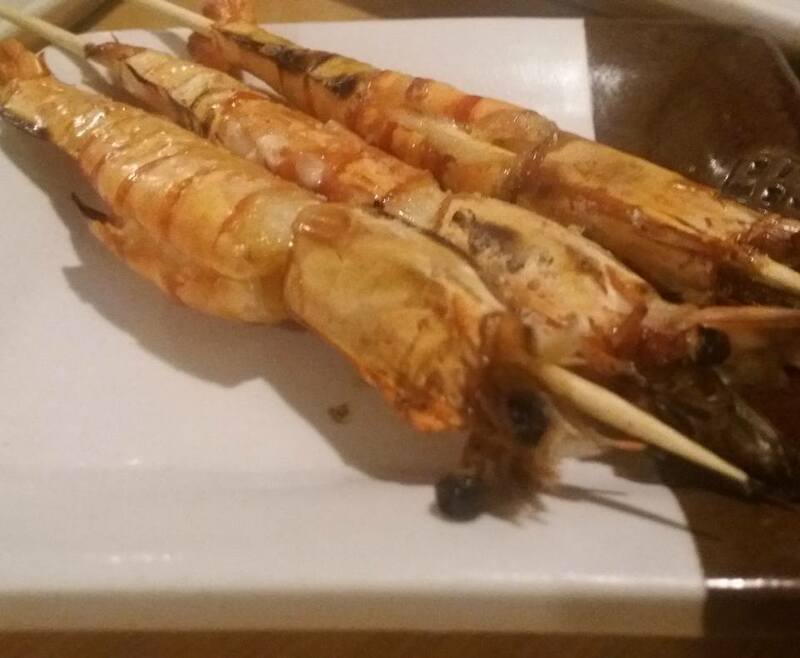 We started with the seafoods--- Yaki Ika (baby squid), and Ebi Kushi Yaki (skewered shrimps). 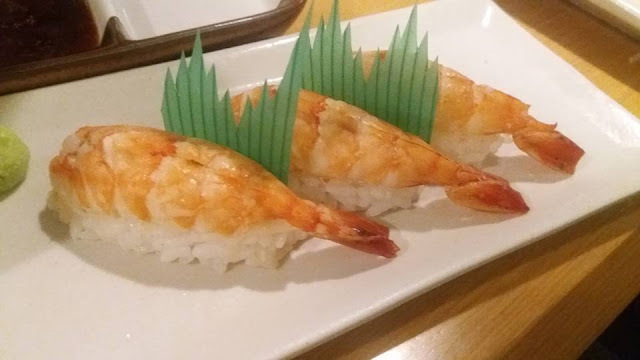 You will love this if you are partial to fish and seafood. These were simple and straightforward, Though nothing fancy, it was flavorful and satisfying. 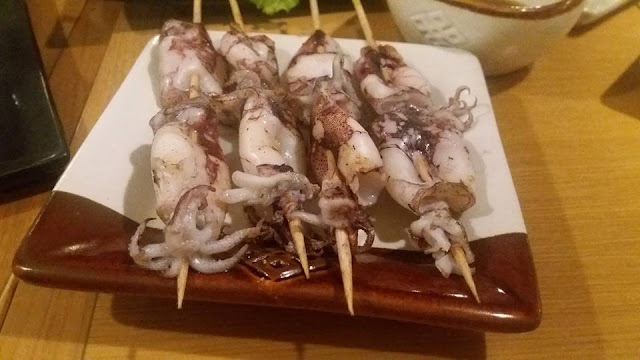 Nanbantei Yakitori Bar bestsellers include Aspara Maki (asparagus wrapped with pork), Pork Garlic Yaki (pork with garlic flavor), and Beef Yakiniku (thinly sliced beef ). For Chicken lovers, they have Tebasaki (chicken wings), Nankotsu Yaki (grilled chicken meat and soft bone), Muru Kai (grilled chicken mussels), Momoniku (grilled chicken meat with garlic) and Tsukune (chicken meat balls). From our meat marathon I liked the Tebasaki and Momo (grilled chicken thigh)plus the Shiitake Maki (shiitake mushroom wrapped with beef). 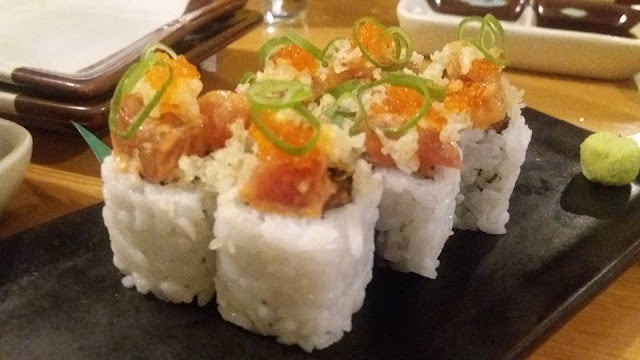 The luxurious sirloin slice of Shiitake Maki is a gentle elastic delicacy that everyone should sample at least once! 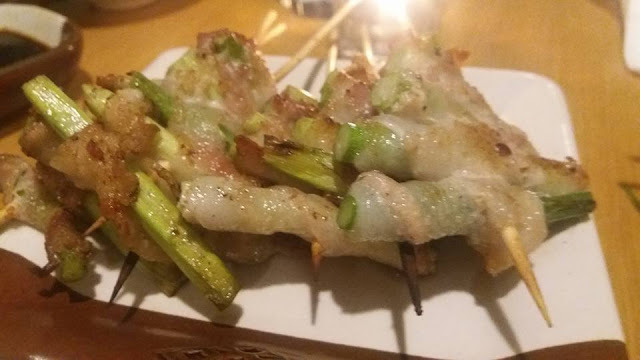 The Aspara Maki (asparagus wrapped with pork) is also a must try! 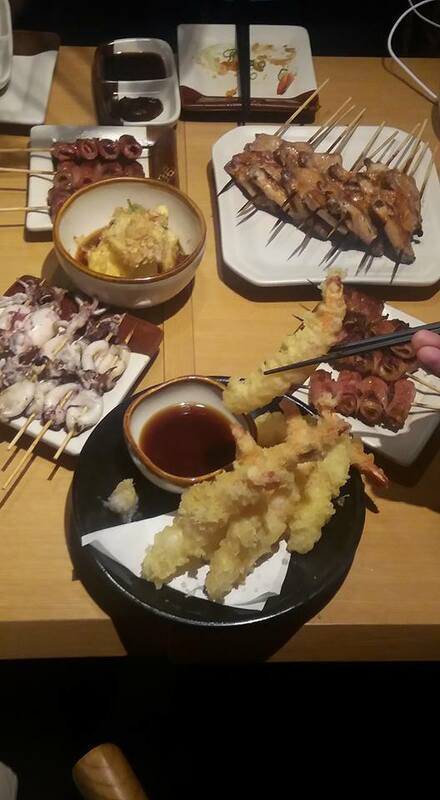 You can have vodka, beer or whiskey to match Nanbantei Yakitori Bar's grilling, flavors and textures. 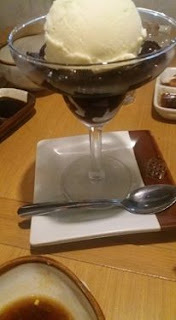 You can finish up with a serving of Black Sesame Ice cream coffee jelly or a scoop of avocado ice cream. Simply irresistible! Our dining experience was excellent! And I'm excited to come back to try out the rest in the menu with my family. Get a glimpse of Japan's culinary and savor Nanbantei's delicious dishes soon!